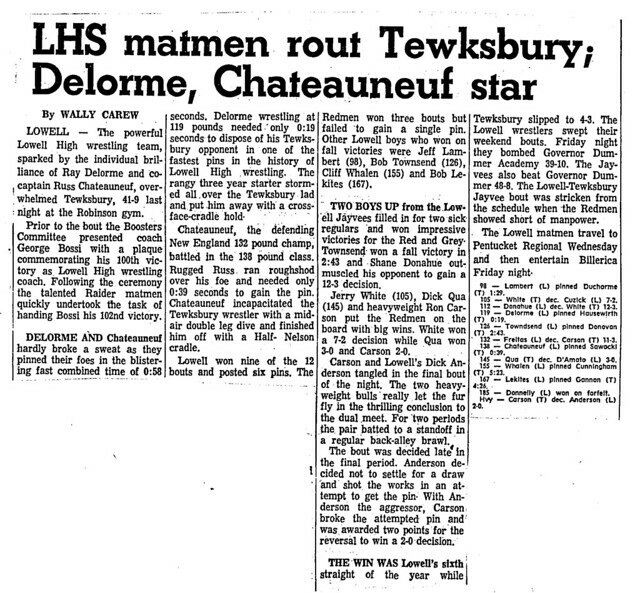 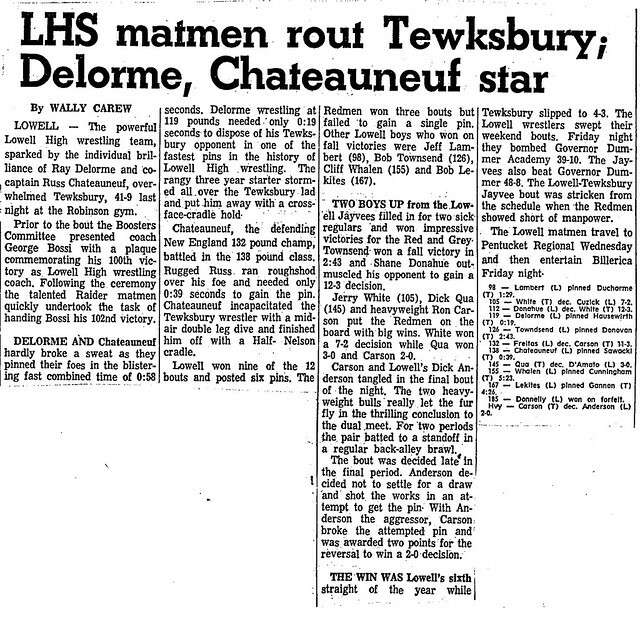 A 2-sport standout under legendary coaches Ray Riddick and George Bossi, Cliff Whalen was one of the leading athletes of the late 1960’s, early 1970’s at Lowell High School. 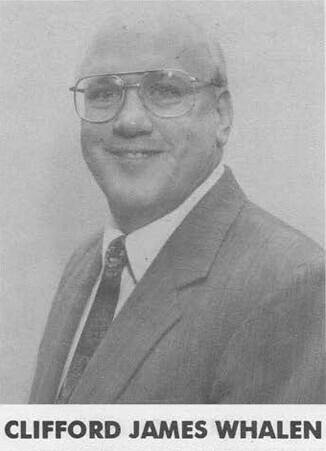 As a member of Coach Riddick’s gridiron teams, Cliff was 2-year varsity team member. 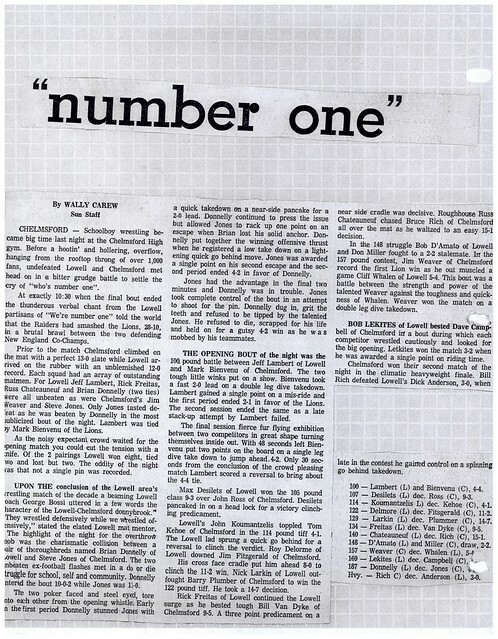 He was voted the Raiders’ outstanding running back during his senior season (1971). 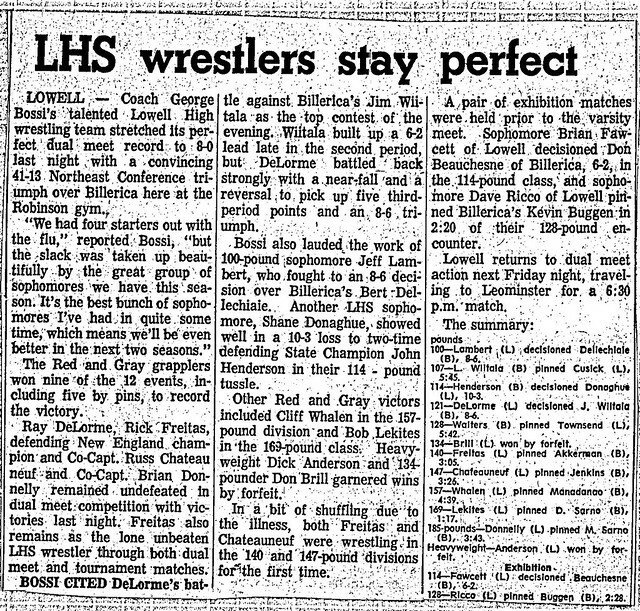 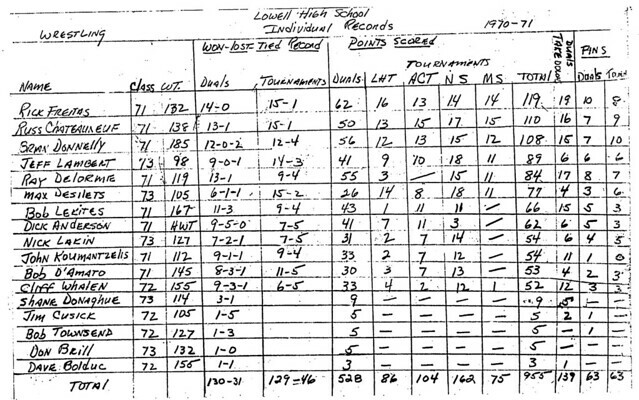 It was as a member of Coach Bossi’s wrestling powerhouses, however, that Cliff indelibly etched his name into the record books at Lowell High School. 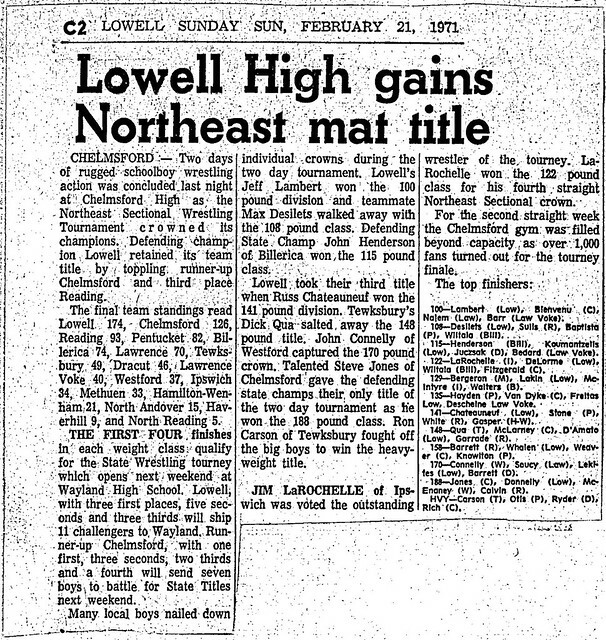 Compiling an incredible overall career record of 63 wins and only 2 losses, Cliff, team Captain during the 1971-1972 season, achieved the pinnacle of his sport, winning both Massachusetts State and New England High School Championships. 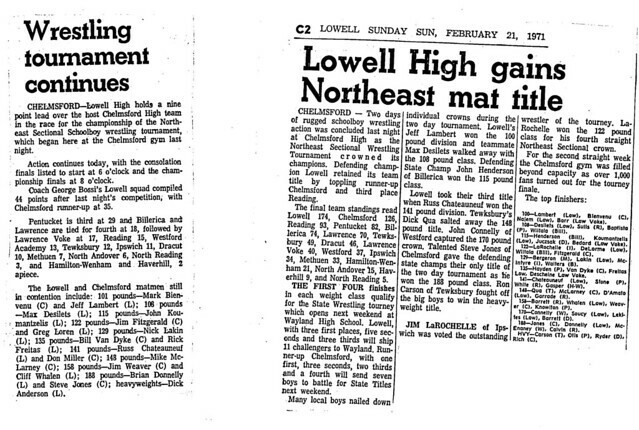 In Addition, Cliff won the coveted title of New England AAU Junior Olympic Champion. After graduation Cliff attended Tabor Academy. 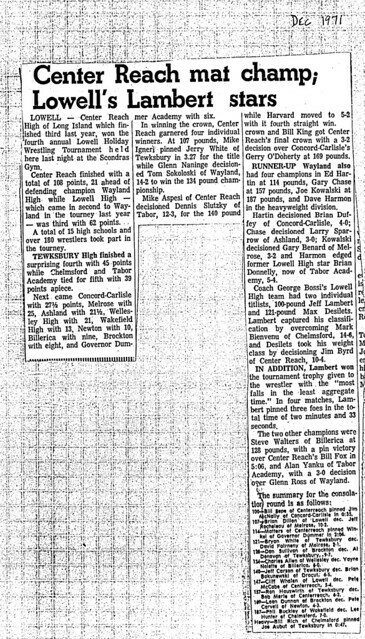 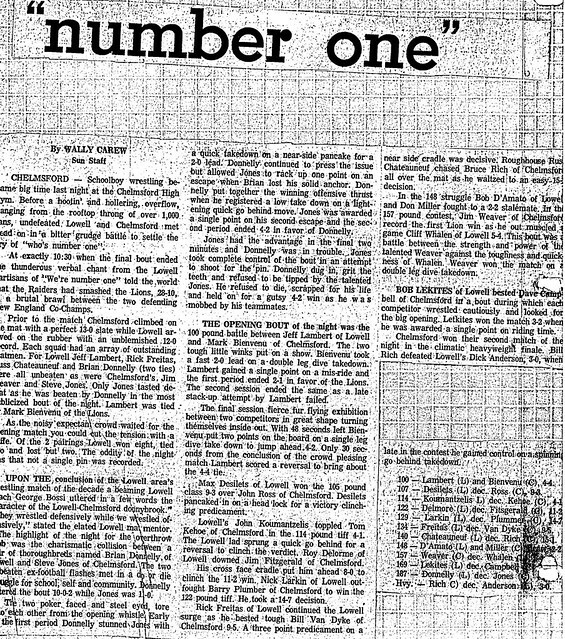 He again stood out in both football and wrestling, compiling an impressive 25-0 record in the latter. 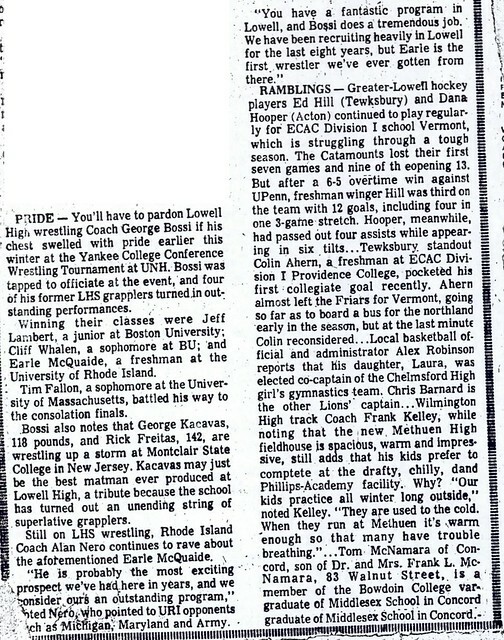 After prep school Cliff matriculated at New England Collegiate wrestling powerhouse Boston University on a scholarship. 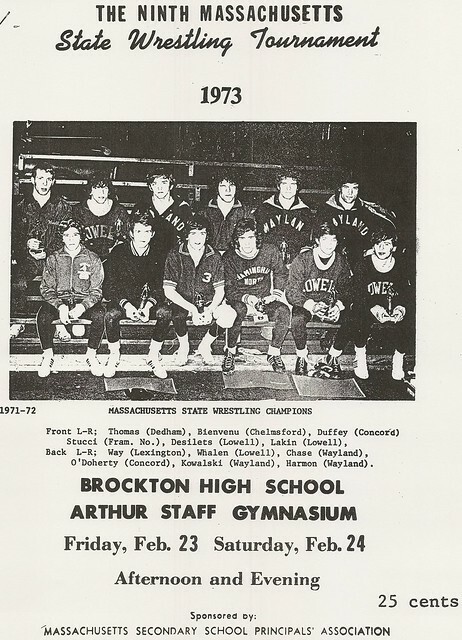 Success followed him to BU, as he became a 4-year letter winner, 2-time Yankee Conference Champion, and, ultimately, New England Collegiate Champion during the 1976-1977 season. 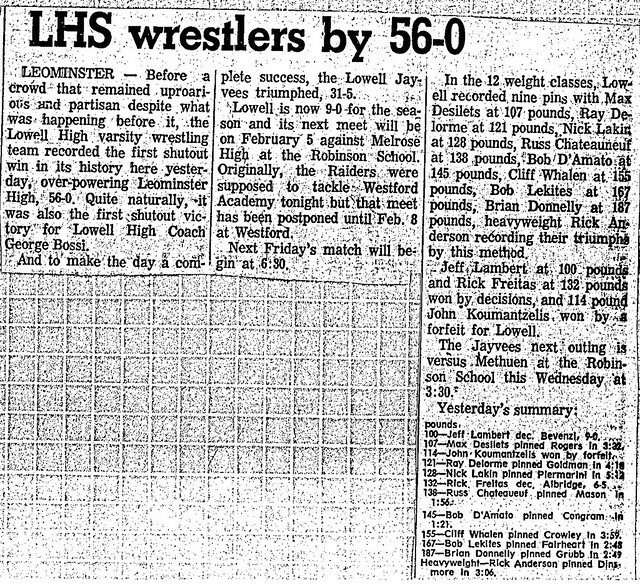 After college Cliff enjoyed continued success as an assistant wrestling coach at both Boston University and Lowell High School. 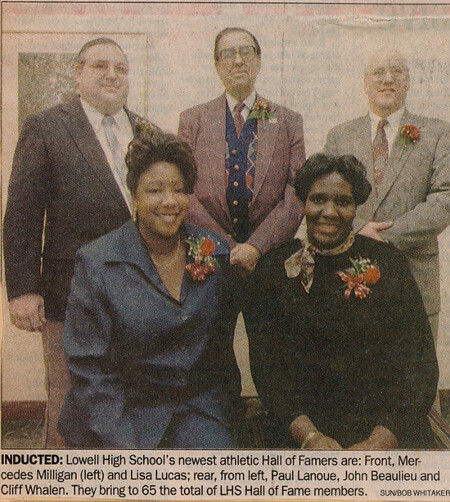 Cliff is the younger brother of Lowell High School Athletic Hall of Inductee Thomas Whalen.